Jason-3 is a follow-on altimetric mission to the very successful TOPEX/Poseidon mission, Jason-1 and Ocean Surface Topography Mission (OSTM)/Jason-2. It is a joint mission between NASA and CNES (French space agency). It launched 17 January 2016 and began data collection on 12 February 2016. Jason-3 is capable of measuring significant wave height, sigma naught (sigma0), dry and wet troposphere and ionosphere, which can be used to calculate sea surface height, sea surface height anomalies, and total electron content. Poseidon-3b – Dual frequency radar altimeter that measures in the Ku (13.575 GHz) and C (5.3 GHz). It measures altimeter range, sigma0, significant wave height and ionospheric correction. DORIS – Doppler Orbitography and Radiopositiong by Satellite is a Precise Orbit Determination (POD) system. It receives at the 401.25 MHz and 2036.25 MHz frequencies. It is used for the all weather global tracking and calculates the orbit ephemeris. AMR – Advance Microwave Radiometer measures the 18.7 GHz, 23.8 GHz and 34.0 GHz sea surface microwave brightness temperatures. The 18.7 GHz channel provides the wind induced effects in the sea surface background emissions correction. The 23.8 GHz channel measures water vapor. The 34.0 GHz channel measures the cloud liquid water to be corrected. All together the three frequencies provide the error in the satellite range measurement caused by pulse delay due to water vapor. LRA – Laser Retroreflector Array supports the calibration and validation for the POD. GPSP – GPS Payload receiver. It provides supplementary position data to support the POD function and to improve gravity field models. CARMEN-3 Radiation Detectors – CNES instrument that measures high energy particles that could disrupt the DORIS oscillator and create drifts. LPT – Light Particle Telescope. Provided by JAXA, measures radiation to complement that measured by DORIS. T2L2 – Time Transfer by Laser Link. CNES instrument for precise time transfer used to monitor the clock in DORIS. Jason-3 is the 4th in a series of altimetric satellites, starting with TOPEX/Poseidon in 1992, that is jointly operated by NASA and CNES along with NOAA and EUMETSAT. 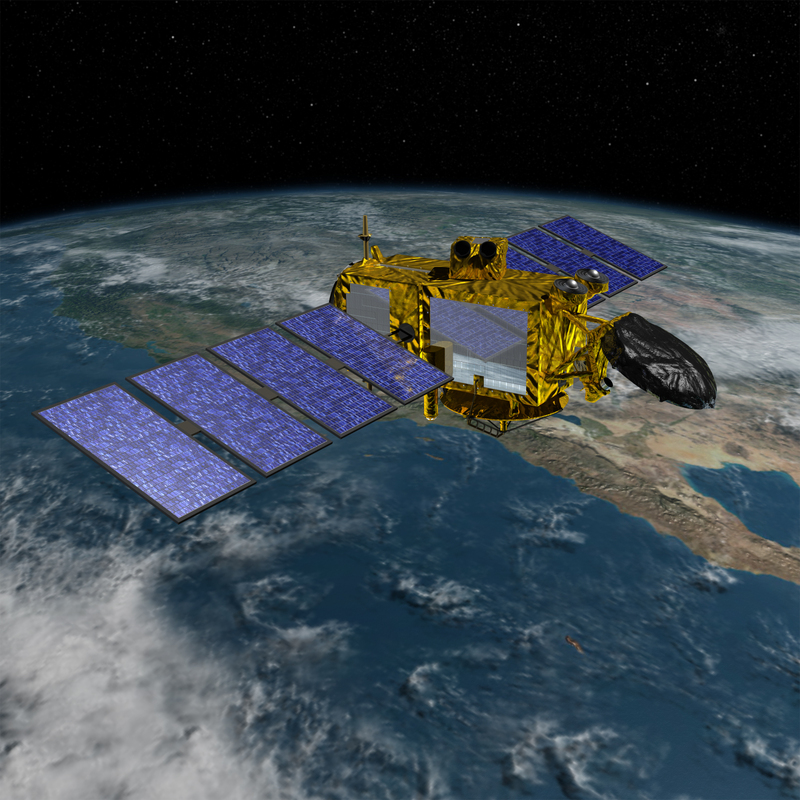 Jason-3 continues the legacy of measuring sea level and understanding climate change. It is also important for operational oceanography, which is used for marine meteorology. Coastal areas are subjected to erosion from waves breaking on shore and storms. Satellite altimetry from the Jason series can provide information on sea level rise, which can be used in planning beach renourishment to combat erosion. To further understand coastal processes and monitor coastal erosion a new satellite mission, SWOT, will provide a finer resolution than what the current altimeters can provide.